Fine art photographs are dubbed to be creative and functional at the same time. There are a lot of people who prefer fine art prints rather than to invest in a painting. However, these fine art images are exceptional and artsy. These photos are works of art of photographers who travel the world just to capture amazing images through their camera lens. The photo above was taken in Pemaquid, Maine where the ocean and the horizon meet. 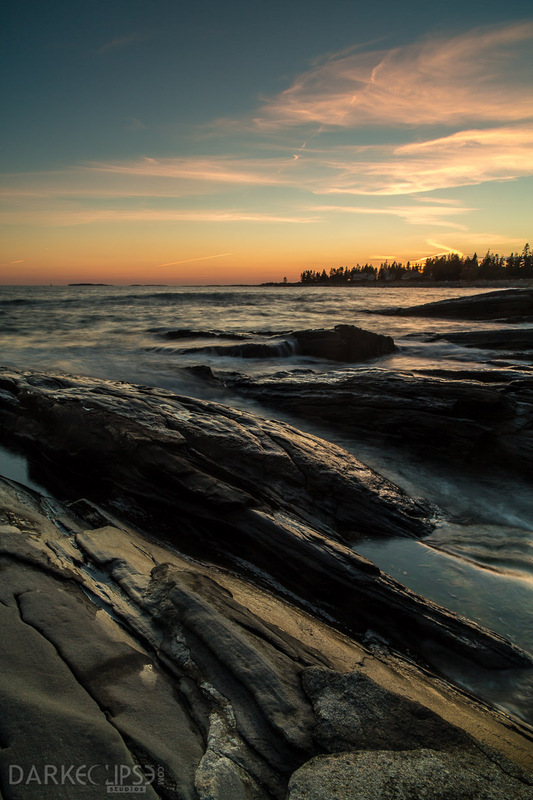 Maine is a perfect destination for photographers who thirst for a beautiful panoramic views of the ocean. This fine art photograph stands out because of the interesting lines of the rock formations. These leading lines naturally draw the eyes along the lines towards the beautiful horizon and the setting sun. The diagonal lines seem to attract the viewers while it makes way for them to appreciate the beauty of the skyline. The diagonal lines of the rock formations seem to intersect with the horizon seem to create depth by merely suggesting viewpoint to the viewers. Another thing which makes this fine art photograph a delight is its depth. There is enough attention given to the foreground which leads to the emphasis on a strong subject such as the dramatic scene in the horizon. This image features the foreground with the rock formation, the background with the beautiful sky line allowed viewers to see this photo on a wider scale and angle. The flow of creativity in this photo is just immense that it can turn an empty apartment wall into something artsy and definitely gorgeous.